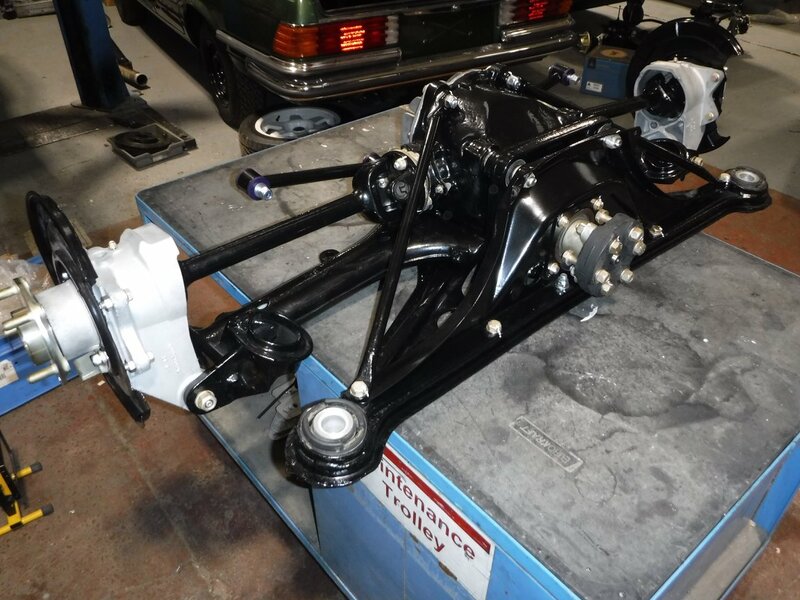 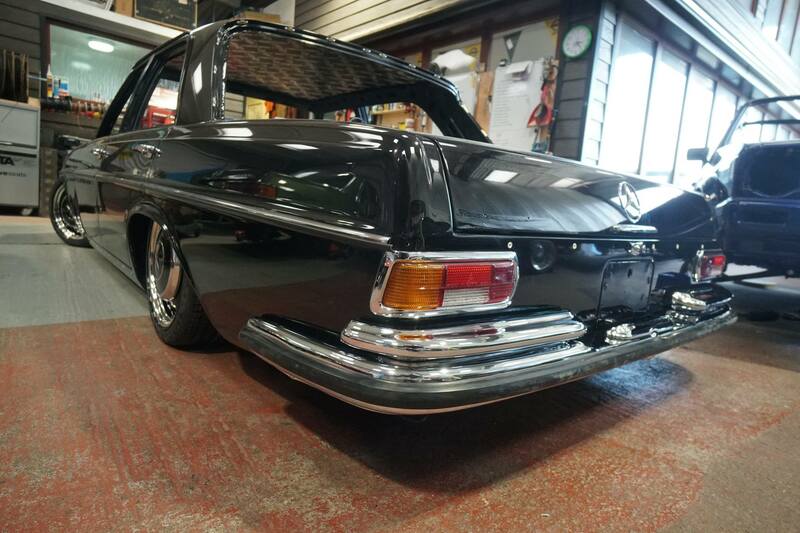 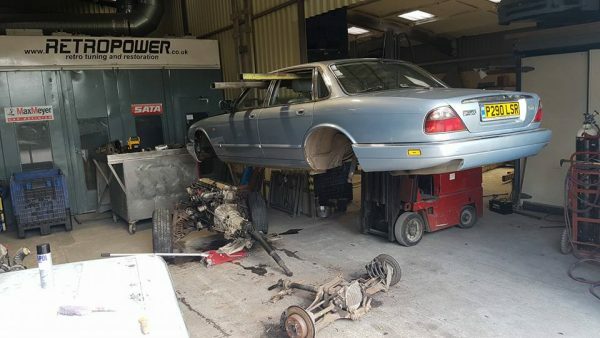 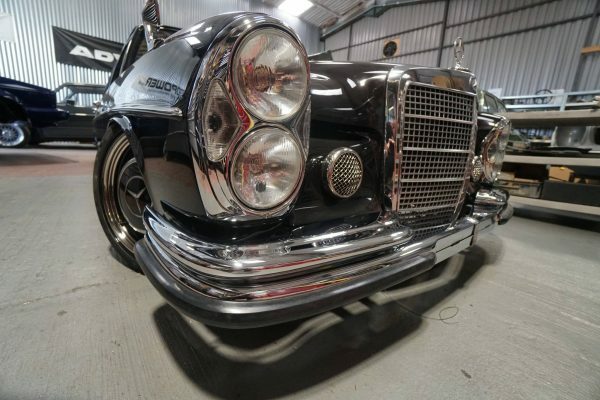 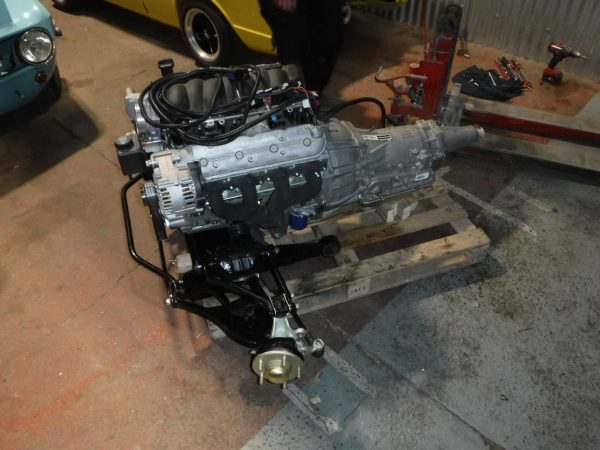 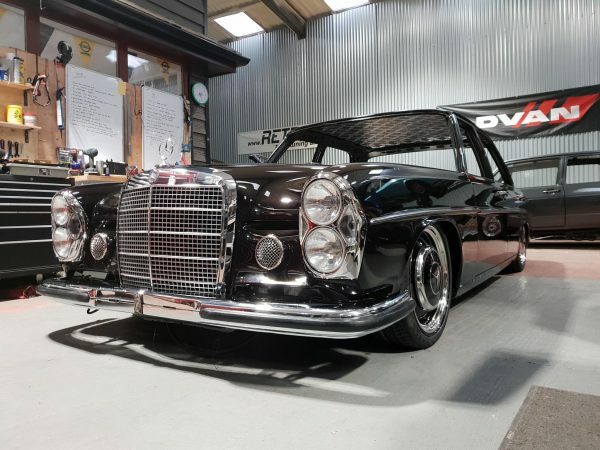 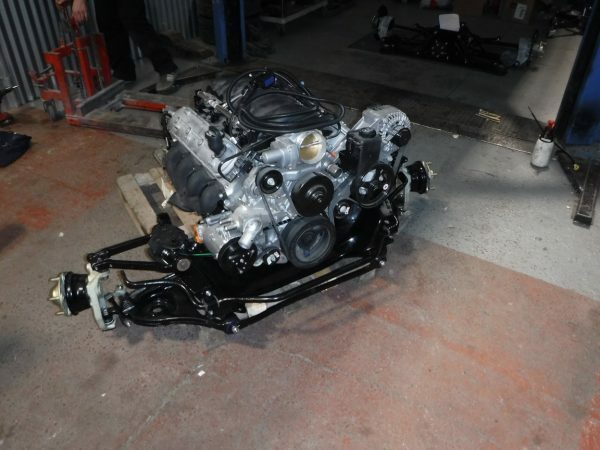 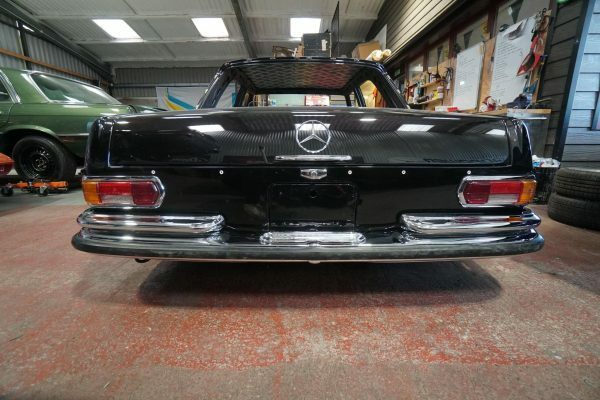 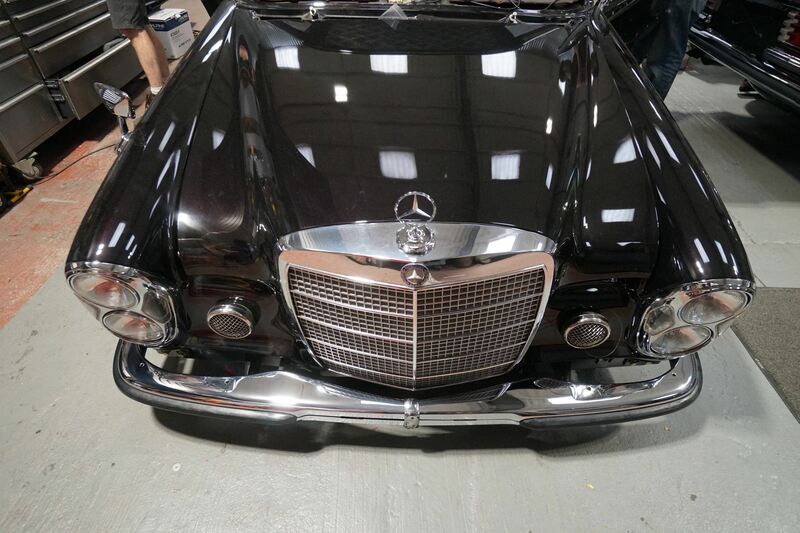 This Mercedes W108 is one of three cars being built for a lucky customer by Retropower in Hinckley, England. 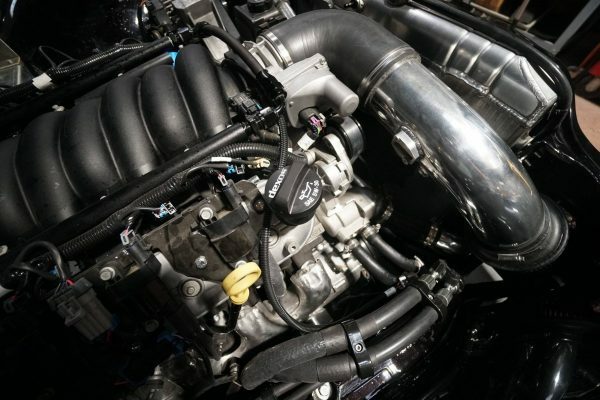 The car sports a 6.2 L LS3 V8 that produces 480 horsepower through a 4L85E four-speed automatic transmission and limited-slip differential. The car rides on a full independent suspension lifted from a from a Jaguar XJ (X300) with Air Lift Performance air suspension. 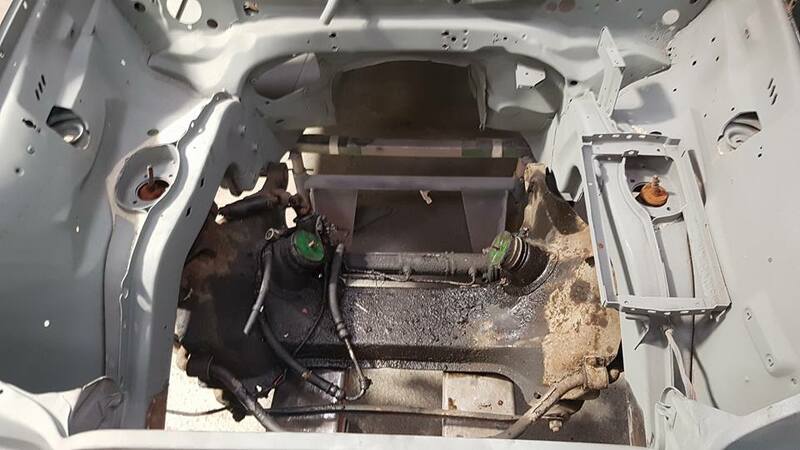 The project has come a long way but there is work left to do on the interior, wiring, and custom center console. Follow the progress on the project’s FB page.